The GDS International Team is now 4 months old and we thought it was about time to introduce ourselves. International collaboration plays a large part in what GDS does, from influencing global standard-setting bodies to knowledge-sharing with other governments. Our team acts as a bridge between GDS projects and the teams that have the expertise. We’re here to co-ordinate international collaboration and set the international strategic direction. GDS was doing international work before April, but our role is to act as the umbrella team that knows about all this work. In these first 4 months, we’ve spent time researching how the team can help GDS to succeed. Our backgrounds in policy teams have given us the skills to fully engage GDS in cross-governmental international work. And we’ve been developing our own objectives and responsibilities, though these may change. While a policy and engagement team like ours might not seem that likely to share the GDS style, we work in an agile way, and we use iterative approaches, collaborative technology and visualisation tools. 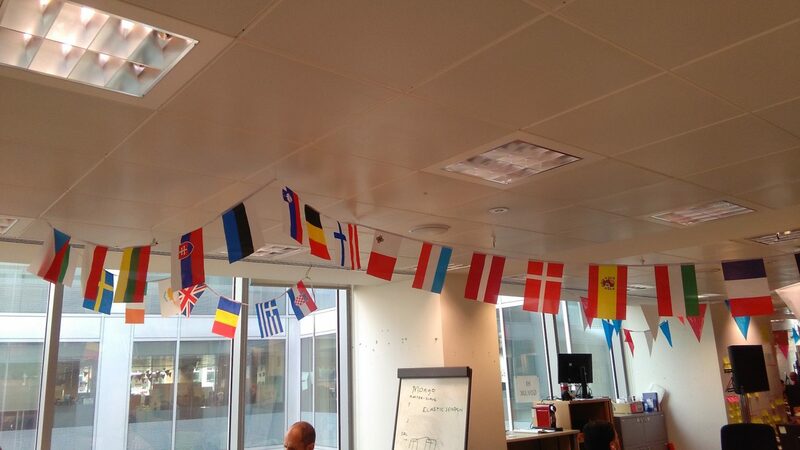 We co-ordinate GDS’s participation in lots of international fora. One of our more informal projects is the International Working Group on Digital, set up by the Ontario regional government in Canada. Lots of digital services are just starting out, whereas GDS is one of the most advanced organisations, and it uses the Working Group to share expertise. For example, in June, members of the GDS recruitment team spoke on the topic of hiring and retaining staff. But we also benefit from hearing from our international counterparts. In July, our Services team were the ones listening, via teleconference, as New Zealand officials and other participants answered their questions. We welcome guests to Aviation House – from foreign officials to digital experts – because there are some things you can’t communicate over the phone. Our team arranges a personalised programme for each group to make sure their needs are met. We get requests from all over the world. By June 2016, GDS had welcomed visitors from 52 countries. Now we are set up within the organisation, and have managed GDS’s existing international work – improving it where necessary – we are looking to the future. We’ll continue to set priorities for international engagement and work with teams throughout GDS to do so. We’ve hosted 21 visits so far this year, and we continue to receive requests. And we’re always open to suggestions for collaborative projects and knowledge-sharing, so please leave a comment below. Thank you so much for your comment to me question. I would like to have your input on the contractual aspects.... within the context of public service frameworks/procurement in the public sector... For exemple, the agile method requires no formalism at all... who do you reconcile that with the obligations to fully document changes in priorities or fonctionnalities during the course of a project, etc. (not only budget wise but, for example, concerning the profil of the people needed to develop the projet, etc.). Did you change any thing in the way you go about your request for tender and request for proposal, knowing you whatt to develop with agile ? I loved my visit to GDS. Learned lots and comforted about our own journey. Hope to keep learning and sharing! Great blog, always good to share knowledge and experience. Hi ! I do have a question. I've notice that some of the IT development done within the GDS initiative i done using the Agile method, which is great! However I would like to know if it required any changes to the "regular" acquisitions contracts rules that surely governs UK's public sector. For exemple, the agile method requires no formalism at all... who do you reconcile that with obligations to fully document changes in priorities or fonctionnalities during the course of a project, etc. Did you change any thing in the way you go about you request for tender and request for proposal, knowling you waht to develop with agile ? Thank for the input on this ! It is achievable for an agile project to report back within a formal budget process and waterfall governance framework, provided that the discovery, alpha, beta and live phases match the budgeting/reporting periods and waterfall gateways. At the beginning of each agile phase of delivery you should get the delivery team together and estimate tools, people, resources and time required. This will give you an estimated budget for that phase. By sprint you can report actual spend vs total budget for that phase and report progress. The end of each phase can be marked by a waterfall gateway. Steer away from full budget prediction on full product life cycle. To stay agile the time limit for budget estimation needs to be based on the discovery, alpha, beta and live phases. I think this is a fantastic opportunity to share the knowledge that all the services teams have gain in the last few years. It is not only across GDS but across other Gov. Departments. When I was working in GDS I have seen people visiting the office and having a tour around the different services and talking with different members in different roles and even sitting down in the user research lab for a few hours. I was wondering if there is a public record of countries, and who in those countries, have been visiting GDS. Can we know if those countries got in touch with GDS to talk about digital transformation? Is there any information that I can access? Thanks for your comment, hope you received our email addressing your questions. It's always been a treat to work with and follow you folk at GDS. Here's towards the better delivery of services, products and the standards that drive them!